Contact details of the person designated for assisting and handling investor queries. 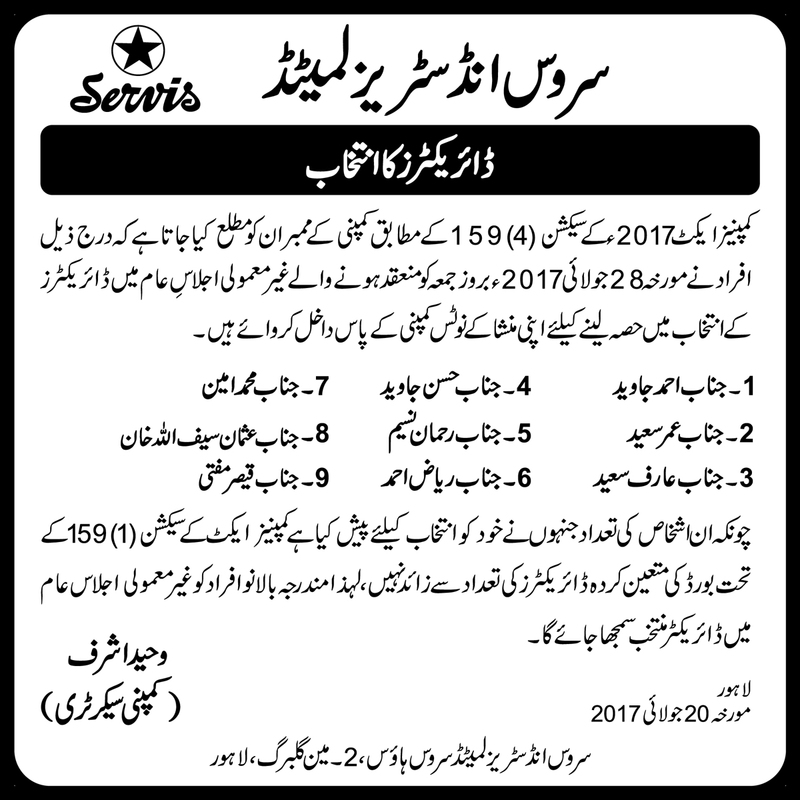 Servis House, 2-Main Gulberg, Lahore. 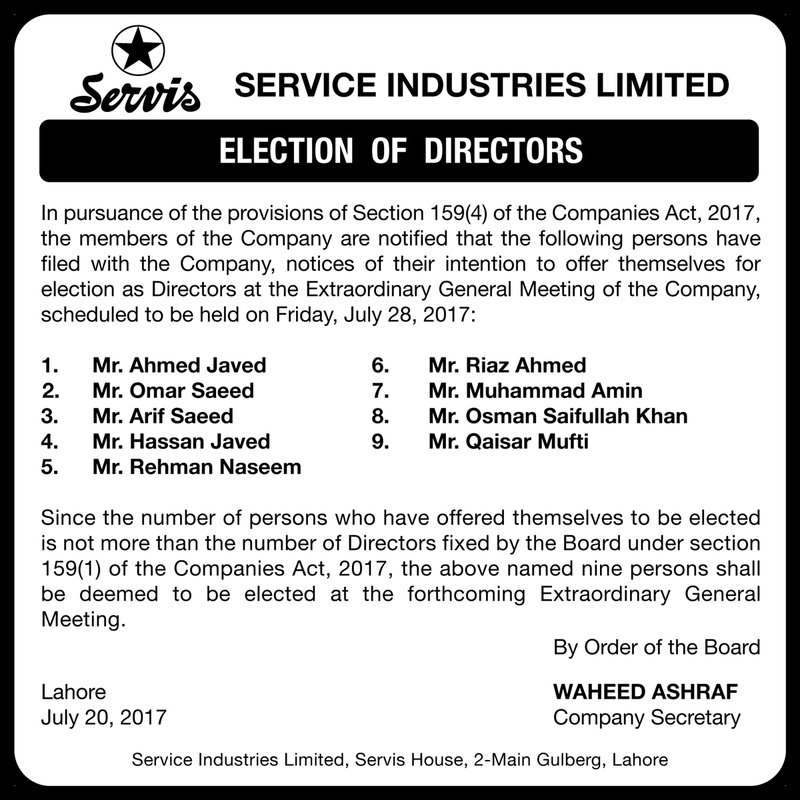 The Last Election of the Board of Directors was held on July 28,2017 for the next term of three years commenced from July 31,2017.